[Solved] Contour jog-wheel for CinGG? I was hoping to get one ShuttleXpress to play with CinGG but a) I am not sure if said wheel is compatible with Cin, b) No idea if it works on Linux. On github I found: https://github.com/abourget/shuttle-go but I don't have the skills to understand it is useful. Any idea? Do you use such wheel to edit? Or any other model? Are they really that better than a regular mouse? 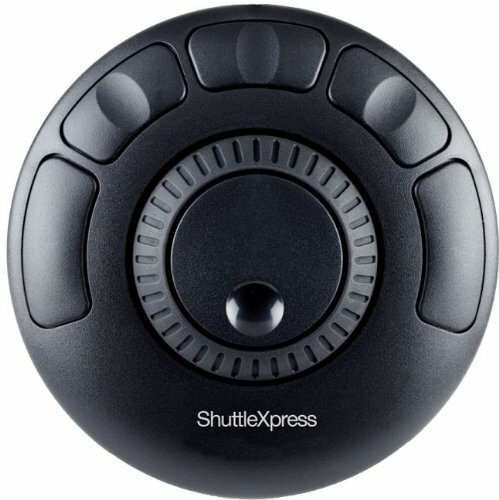 Wanted to point out the pros and cons of the Shuttles after having used both of them with Cinelerra-GG. I would have to say that at least 90% of what you would like to use either of the shuttles for is playing forward and reverse in normal, fast, or slow speed and forward/reverse single frame. For this you use the inner and outer center wheels. These WHEELS ARE THE BIG PLUS and work the same on each model. Now for the BIG NEGATIVE. Despite the fact that each has 3 buttons that work exactly the same as your regular mouse, the problem is that you have NO WAY TO MOVE THE CURSOR like you do with a mouse to change windows, drag effects, or move the insertion pointer. So you still need to use the mouse for that. I guess that the solution may be to leave the mouse on the right hand side and put the Shuttle to use with your left hand. Also, in deciding between the Pro and the Xpress, I found it difficult to use all of the buttons on the Pro and thought that the Xpress had the buttons I would use. However, I am pretty sure you could train your fingers if you used it a lot to use more buttons. Information from real users would be a lot more relevant. Thanks for the feedback Phyllis! It is interesting especially what you said about the use of regular mouse. I thought (while remaining in the software not doing other tasks) wheels were supposed to replace mouse. Do you think other software just use more shortcuts than Cinelerra or people who use programs like avid they also use mouse? I have had a "ShuttleXpress" for several years, I bought it in the hope of being able to use it with Cinelerra... I never made it. Despite all the research I've been able to do by Google, I've never found a simple way to install it. I'm not a developer and the only leads I found always involved modifying Cinelerra with code.... it's not at all within my reach. J'avais déjà envoyé ce post sur la liste linux.debian.user.french, mais je pense qu'il a plus sa place ici. J'ai depuis un moment un jog/shuttle Contour ShuttleXpress, celui avec 5 boutons. J'ai trouvé un programme en C écrit par Arendt David pour le gérer, mais pour les [ et ],ça ne fonctionnait pas ( à cause du clavier français ). J'ai modifié cette fonction et maintenant, de gauche à droite, les cinq boutons sont: undo , [ , cut , ] , redo . J'en ai profité pour mettre 3 vitesses avant et arrière sur le shuttle à la place des deux initialement programmées. Il y a quelques warnings sans conséquences. En espérant avoir interessé quelqu'un. doit être sur une seule ligne! Thanks for the detailed answer Pierre! 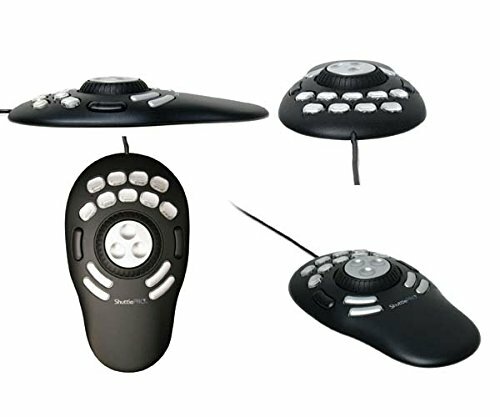 Have you been able to try such controller with another software? Afaik they should be compatible with many softwares. If pierre still has his controller, maybe with the help of GG, he could make it work? It would be great for him and for the whole community if others want to use it. FLOSS video editor + affordable tools is a great combo for all independent/low-budget editors! Sounds very interesting. I would be very curious myself if the cutting work could be done faster. The price seems reasonable to me. Thanks for sharing the info. Lightworks also offers this controller. There is nothing about Linux in the description, although Lightworks is also available for Linux. From what I could read online these tools are really supposed to be good but as I said I never tried anything other than mouse and keyboard so.. Yes I still have the ShuttleXpress, it's even plugged in... but it doesn't work (normal, I haven't found any driver for linux or any easy way to configure it) and I've never seen any software reacting to a manipulation of its jog or its buttons. In fact, I don't even know if Linux sees it. I only bought it for Cinelerra and since I can't get it to work... it collects dust. I opened a ticket in the bug tracker: https://www.cinelerra-gg.org/bugtracker/view.php?id=83 if GG can help and you can test on your jog, maybe we can get it to work? Phyllis and GG nodded that the shuttles should work. That's great news.